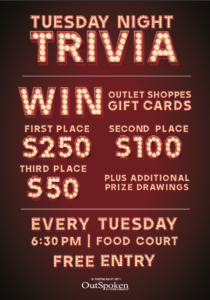 Join The Outlet Shoppes at Atlanta for Tuesday Night Trivia! Every Tuesday in the food court. Plus, nightly giveaways and food sampling!